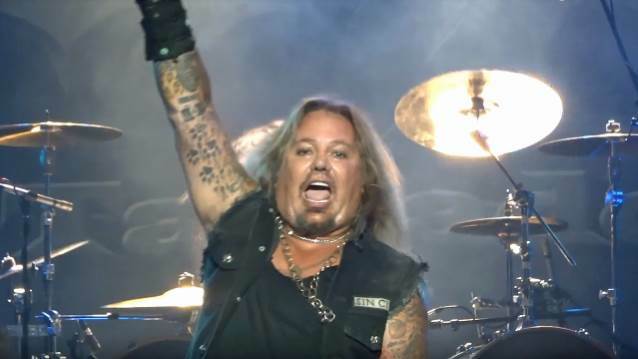 MÖTLEY CRÜE singer Vince Neil performed with his solo band on July 3 at Rivers Casino And Resort in Schenectady, New York. Fan-filmed video footage of the concert can be seen below. A tour film about CRÜE's final shows, "The End", came out last fall, and a film adaptation of the band's 2001 autobiography "The Dirt" is in the works.